If you have been a BMW M loyalist, than BMW M6 has undoubtedly fulfilled all your expectations every single time. Keeping the legacy intact at the Frankfurt Motor Show 2015 BMW introduced its all new BMW M6 Coupe Competition Edition 2016. As the name suggests company has amalgamated that everything which will keep the standards company has maintained with the series. 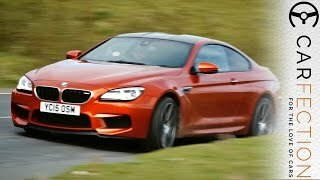 Let us have a look at the review of BMW M6 Coupe Competition Edition 2016 to know in detail about it. The interior of BMW M6 Coupe Competition Edition 2016 will simply mesmerize you with its inclusions. The major addition that I noticed is one with the fine-grain BMW full black leather getting the essence of contrast stitching. There are two paintworks that can be noticed, first is the combination of Opal White with Alpine White while the second is amalgamation of Yellow with Austin Yellow metallic. Apart from these there is also noticeable Alcantara and Carbon fiber work over the steering wheel trim, M Sports steering wheel spokes and gear selector. Talking about the technological integrations, you’ll have a MW Head-Up Display mounted and easily accessed while you are seating over those M multifunction seats. 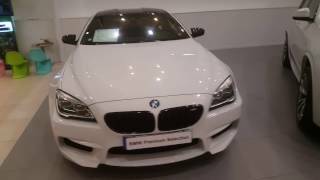 In all rounding up the interior details of BMW M6 Coupe Competition Edition 2016 I would just say it has everything to keep you stick and mesmerized. 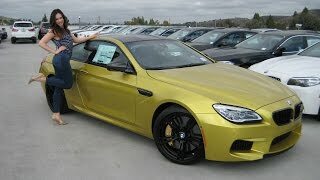 Before we talk about the exterior of BMW M6 Coupe Competition Edition 2016 I would like to mention that the model is a special edition to the ‘special edition M6’. With this one thing is clear that things aren’t designed and engineered casually. Now starting the details, everything integrated in the model is prepared through Competition Package. With this I simply mean you can still find the massive air intakes over bumper and the black kidney grille featuring chrome-faced slats and lots and lots of aggression around. The recently mentioned body color gets accompanied by decorative body stripes. The black chrome finish over the kidney grille, door handles, mirror caps, rear diffuser and rear spoiler makes the model mark an impeccable presence. 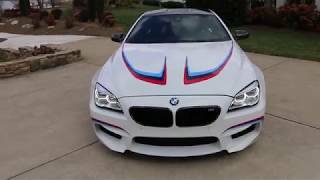 Thus rounding up the exterior details of BMW M6 Coupe Competition Edition 2016 I would say it looks luxurious and aggressive rolling over its massive Double Spoke 20” M Wheels. Beneath the hood of BMW M6 Coupe Competition Edition 2016 is a 4.4 liter eight-cylinder engine generating total output of 600 hp and peak torque of 700 nm. 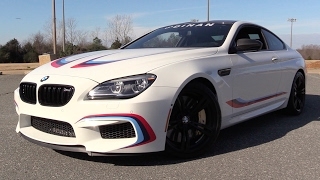 With this power rolling the 0” wheels of the model, top speed of BMW M6 Coupe Competition Edition 2016 touches mark of 156 mph while the 0-60 mph sprint can be knocked in just 3.8 seconds.